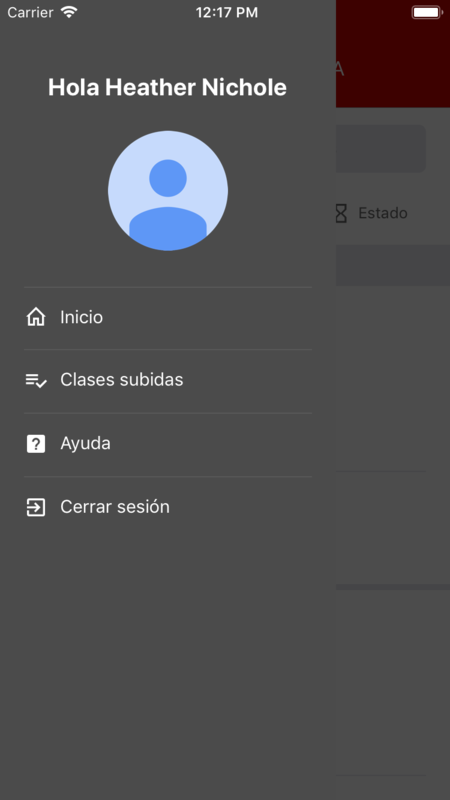 To do a general search, use the upper navigation bar where you will be able to search using key words linked to courses, classes or sections. The upper navigation bar filters (under the general navigation bar) are useful to do a more exact search. 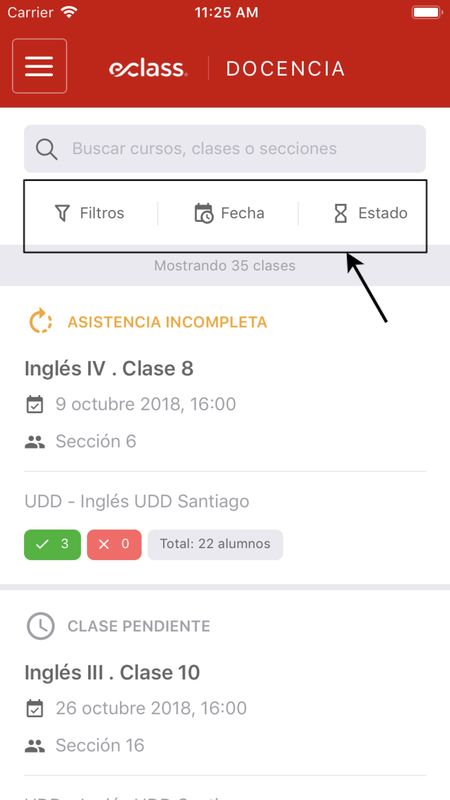 It is possible to filter by: campus, section, course, date and status of the course. 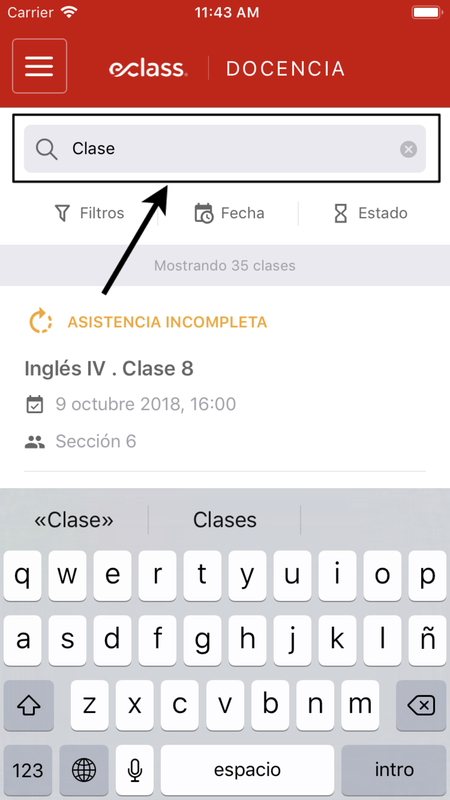 In the main filters, it will be possible to search for: campus, section or course. These filters are interdependent, which means that one first needs to select the Campus and subsequently the sub-filters. Filtering by date will allow you to see all classes available between the current date and a selected range. 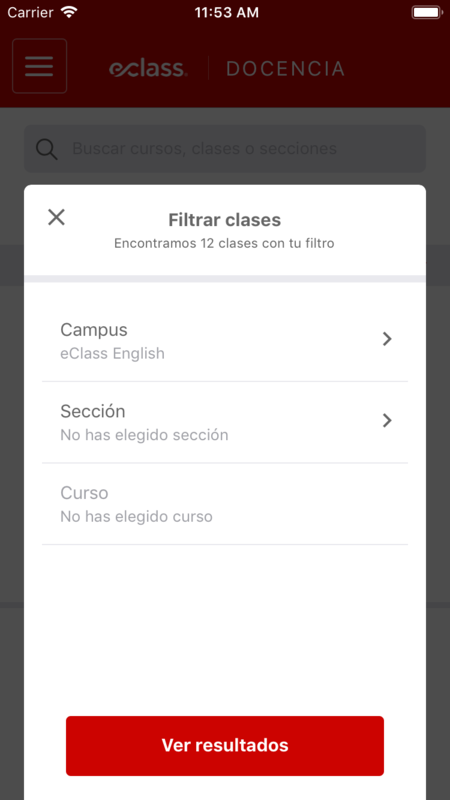 For example, if the “two weeks” filter is selected, all classes happening between today and the next two weeks will appear. 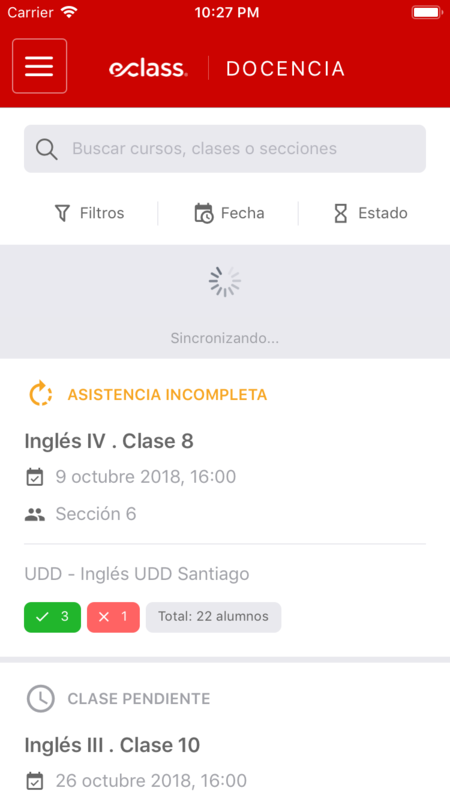 Filtering by status will allow you to see all of the classes that fit into this category, which includes the following: pending, incomplete or complete. The side menu is available on all interfaces of the application. To access the side menu, click on the icon in the top left corner or swipe from left to right and it will appear. 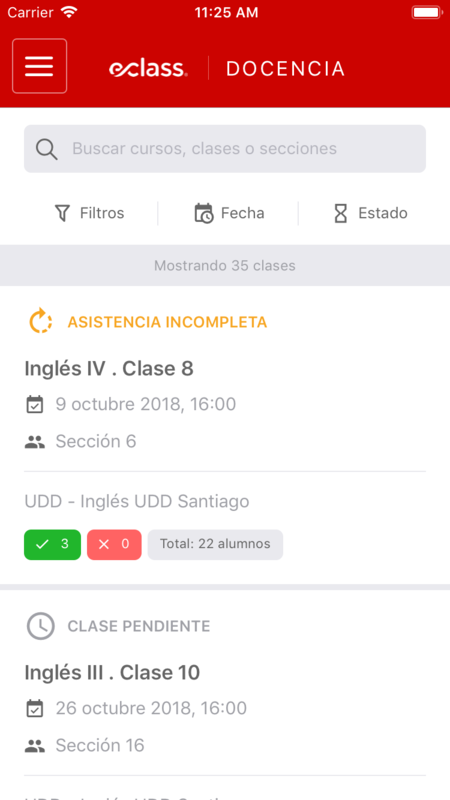 Uploaded classes: to get to the screen that shows the classes that have been uploaded. Help: to get to the “help” screen. Close session: to close the session of the current user. To stay up to date with the latest changes and most recent classes, you need to synchronise the classes. 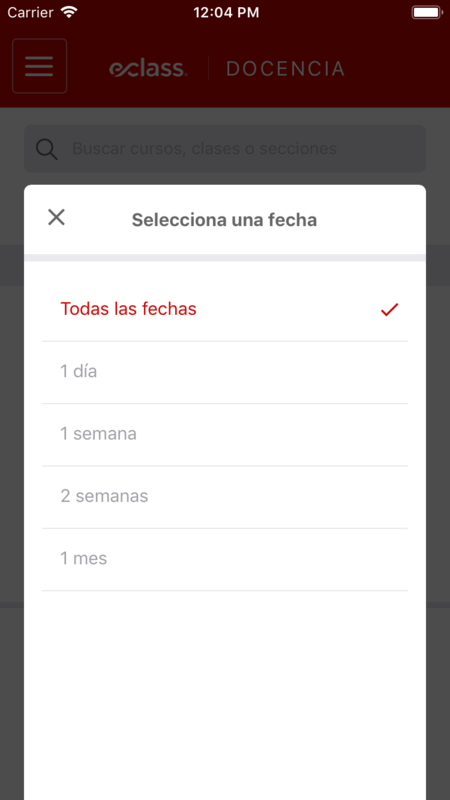 To synchronise and update the classes, swipe from top to bottom. Wait for the synchronisation to finish and then continue using the app as normal.